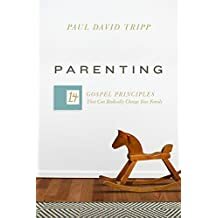 If you attended the Tripp seminar, or even if you didn't, this book will be a great help in teaching how the gospel relates to parenting, and how God's relationship to us as Father can help inform our own parenting. It's not just about changing behavior; it's about changing hearts. This book is excellent in helping parents see what they can and cannot do -- and how to point kids in the right direction.